Announcing the new website LIVE CHAT libre! from Paphus Solutions. LIVE CHAT libre provides a free live chat service for personal, academic, or commercial applications. LIVE CHAT libre channels can be easily embedded on your own website to provide live customer service, technical support, sales, or information. LIVE CHAT libre provides a perfect customer service solution for e-Commerce websites, information technology products, open source projects and more. Are you a small business that does not have the resources to provide 24x7 live chat? Or a big corporation that wants to reduce its customer service costs? LIVE CHAT libre provides state of the art live chat automation agents (chat bots), that can be connected to service a live chat channel when no operators are available. The LIVE CHAT libre website provides an administration console that makes it easy to view your chat logs and monitor your channel. You can create both call center one-on-one live chat channels, and chat rooms. You can create both public and private channels that require user authentication. LIVE CHAT libre also supports embeddable forums. Forums let your users ask and search for questions and answers. LIVE CHAT libre provides a mobile application for Android, and a web API. 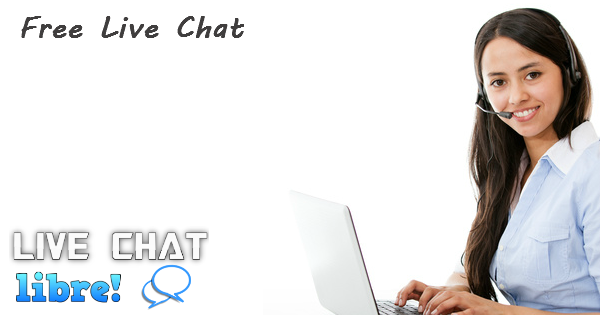 The LIVE CHAT libre services are also provided commercially through Paphus Chat. Paphus Chat offers commercial hosting starting from $0.99 USD per month. A customized Android APK application is provided as part of the service. This allows you to provide access to your chat service to mobile users. Dedicated hosting, private hosting, and licensing of the software is also available. Have any questions? Chat live now with Paphus Solutions.